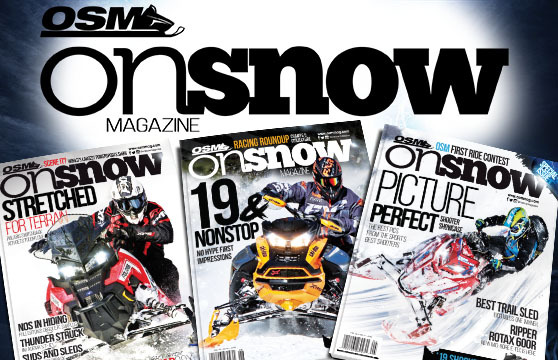 Each HOT issue of ON SNOW MAGAZINE covers the exciting world of snowmobiling. Reviews, Technical, Lifestyle, Vintage, Racing, Buyer&apos;s Guides and Much More all inside the pages of OSM! Don't miss a single issue - subscribe now to North America's best snowmobile magazine! Not Convinced? Take a peak here! 5 Issues per year. Canadian Subscribers get the 6th Map Atlas issue.